About a year ago, there was an article circulating on Facebook titled Can You Tell A Mom Has Postpartum Depression Just By Looking At Her? From the outside, you never know what someone else is going through. 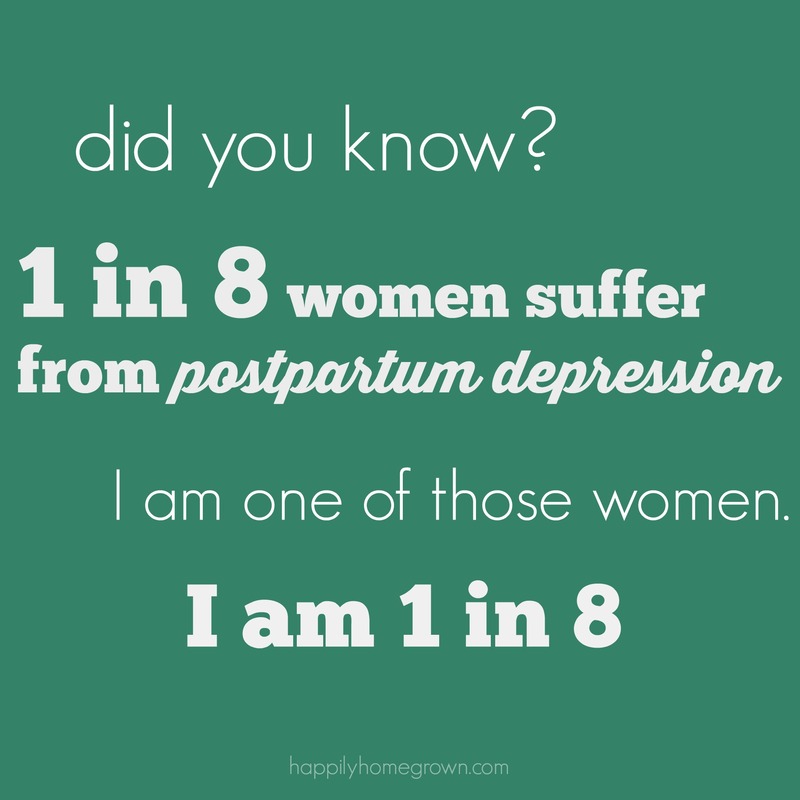 I had PPD after having Emily, and again after my miscarriage 18mos later, which was a severe case. Unless you were around me on a regular basis, you wouldn’t have known. I put on the happy face, acted as people expected when we were in public, and went through the motions. I knew what to say, how to say it, and avoid all concern from the outside world. When I was home, it was a completely different story. I loved my children and would never hurt them or myself, it never even crossed my mind, however the darkness was unescapable, and every breath felt like an elephant sitting on my chest. I was ashamed, as many mother are, didn’t talk about it, and suffered in silence because I didn’t want to be judged. Thankfully, I had a midwife that I was able to call when I finally snapped; and luckily I realized I had snapped and was in need of outside help. In February 2011, I went on medication, started seeing a therapist, and started to feel like myself again. In January 2012, we had discussed starting to wean off my medication in time for Emily’s 3rd birthday in May. In February, the pharmacist made a mistake that I wouldn’t catch for 28 days – I was taking a pill 3xs my normal dose. I was in a serotonin storm. I was manic. I almost left my husband. I almost left my entire family. I wanted to run. I felt like I was jumping out of my own skin. I was so far from being myself that I didn’t know who I had become. I didn’t know what to do, whether I was coming or going. Every day there was an internal fight to stay in control. On day 28, I sat down to set up my pills & vitamins for the week, and having renewed my prescription before running out this time, I realized that the pills I was given were smaller than the ones I had been taking. I got scared. I got angry. I wanted to hit things. I wanted to throw things. But then, I was relieved. I wasn’t losing my mind, I had just been on the wrong medication and my body was reacting to it. I was in for one hell of a fight to regain control of my life. Upon figuring out what was going on, I very slowly, under medical guidance, stepped down to my regular dose. I had multiple therapist, cardiologist, and doctor appointments each week. By the end of August, I was completely off of my meds, and felt better than I had in almost 4 years. My PPD was in remission and I was moving on with my life, and was once again happy in my marriage and my role as a mom. I got pregnant with Michael in September. Each and every day since finding out I was pregnant, I worried if it was going to happen again. My pregnancy was uneventful. I would get anxious and stressed, and would even cry, but it was always situational and only lasted for a short time. My husband & I became advocates for my mental and physical health, and did whatever we could to set ourselves up for a smooth transition to being a family of 5. Steve went to my therapist appointments with me. 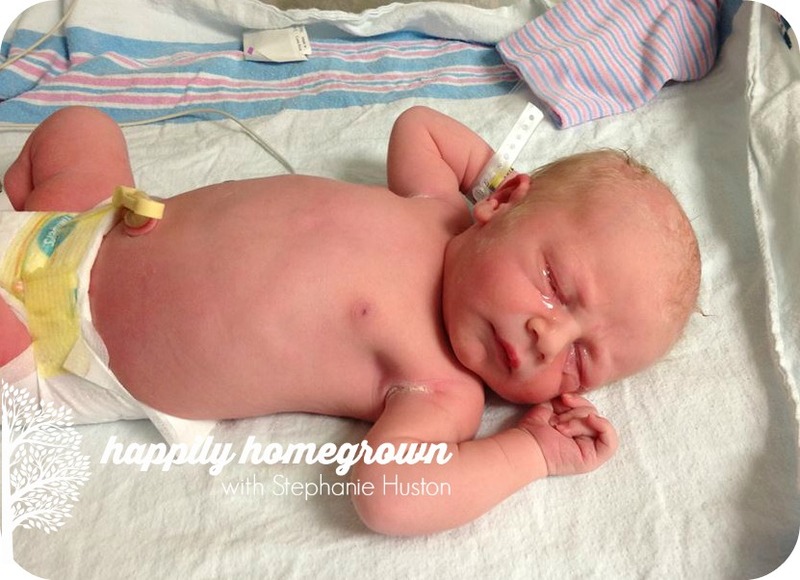 We hired a postpartum doula. I even learned about placenta encapsulation, and its potential benefits in treating PPD, and helping with milk supply. 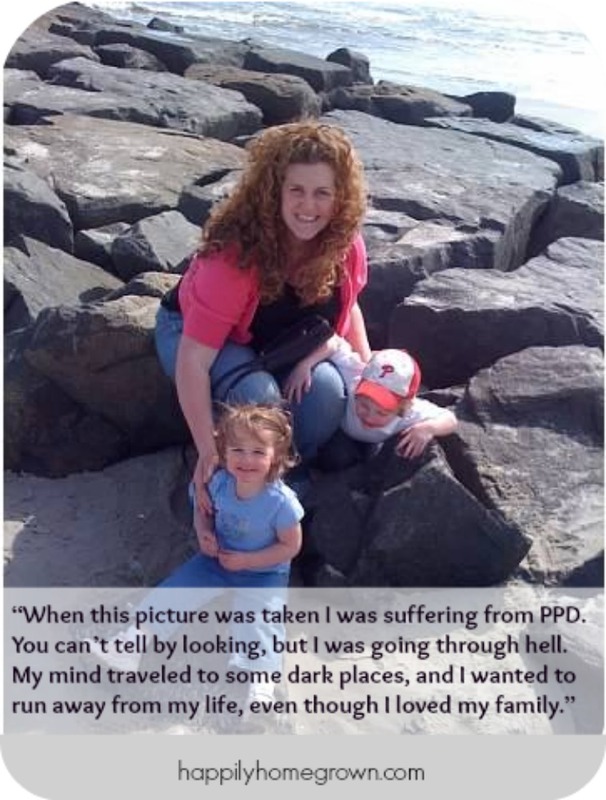 I was willing to try just about anything to prevent or lessen the chance, or effects, of PPD. Michael is now 14 months old, and I am happy to report that my PPD is still in remission. PPD can occur anytime within the first year of delivery, but also within the first year of a miscarriage, an abortion, or even the end of breastfeeding. Whenever your body goes through a significant hormone shift, there is a chance PPD could occur. Thank you for sharing your story. Your children are so blessed to have an honest, strong mom to raise them!